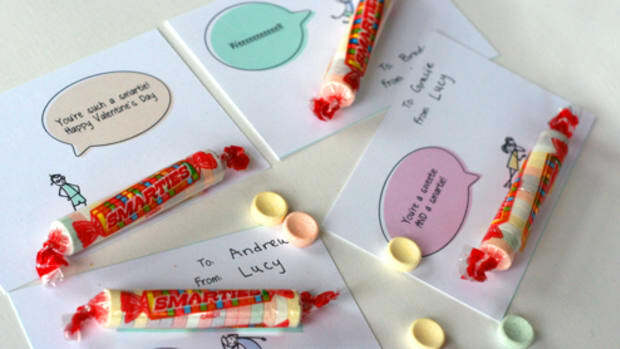 So easy your kids can put their own Valentine’s Day cards together. And because we’re still working on our leftover holiday goodies, these are non-candy treats. 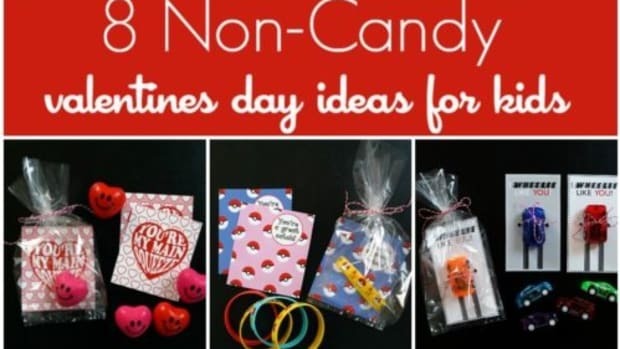 While you’re judging my spectacular ability to drag my feet, please enjoy the benefit of my laziness...THESE 8 Non Candy Valentines Day Ideas For Kids! I can’t take the credit—this was a lazy team effort by Melanie and Rachael too. We really just wanted this to be easy on all of us this year. Maybe it was the hours I spent last year exacto-knifing tiny wrappers onto a very specific candy that required multiple trips to the store to secure 25 of the right flavor of aforementioned candy that made me stand up and shout “AMEN” when Melanie and Rachael shared this idea with me. 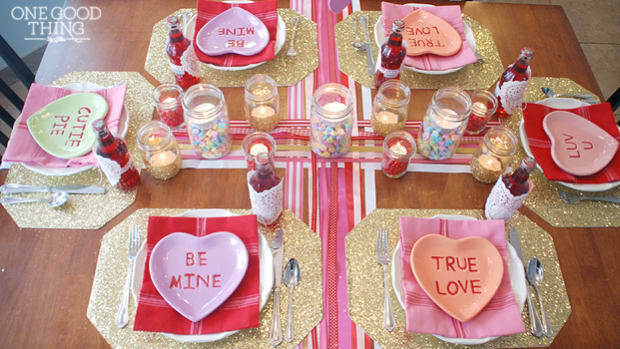 All of these fun Valentine&apos;s ideas are easy to assemble. Just download the PDF file, print and cut the cards, and place inside a cellophane bag with the toy. Tie with cute bakers twine and YOU’RE DONE! Bonus? You can get all of the items here via Amazon Prime, delivered right to your doorstep. Extra bonus? 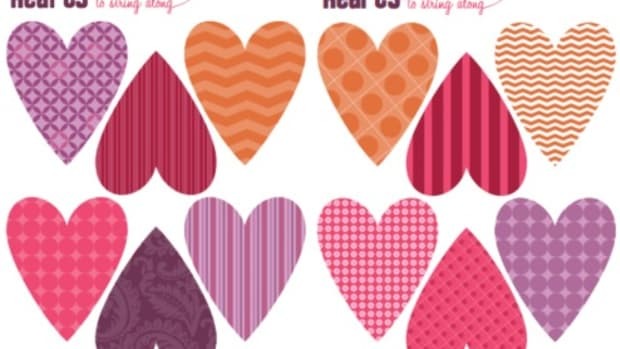 These printables are FREE! So easy your kids can put their own Valentine’s Day cards together. And because we’re all still working on our leftover Christmas candy, these are non-candy treats. 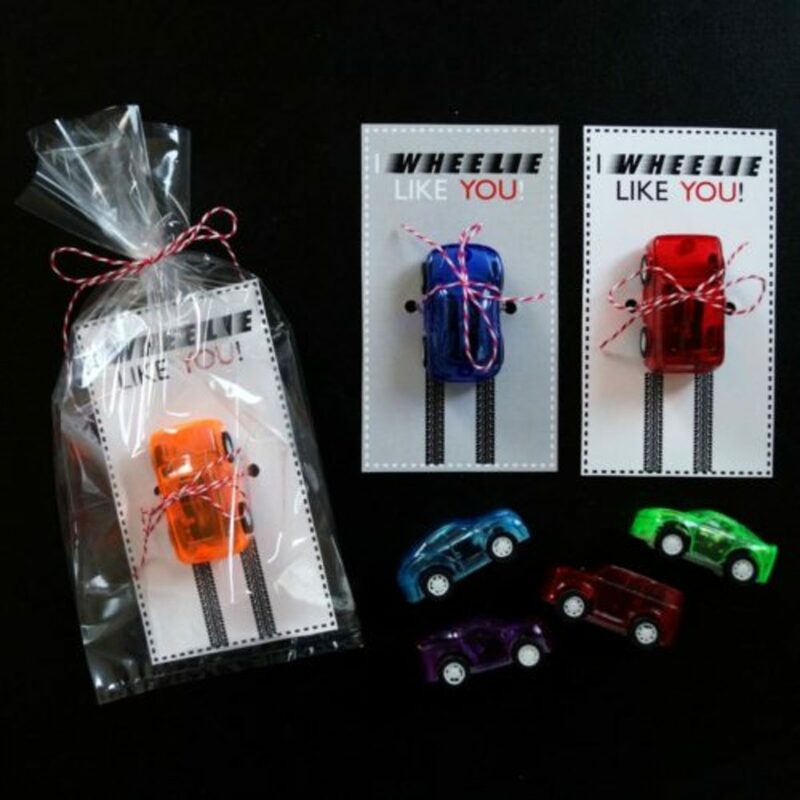 Download the “I Wheelie Like You” card in white or grey. We used these pull-back race cars, 4 x 9 cellophane treat bags, and baker’s twine. Download the “Will Zoo Be Mine” card here. 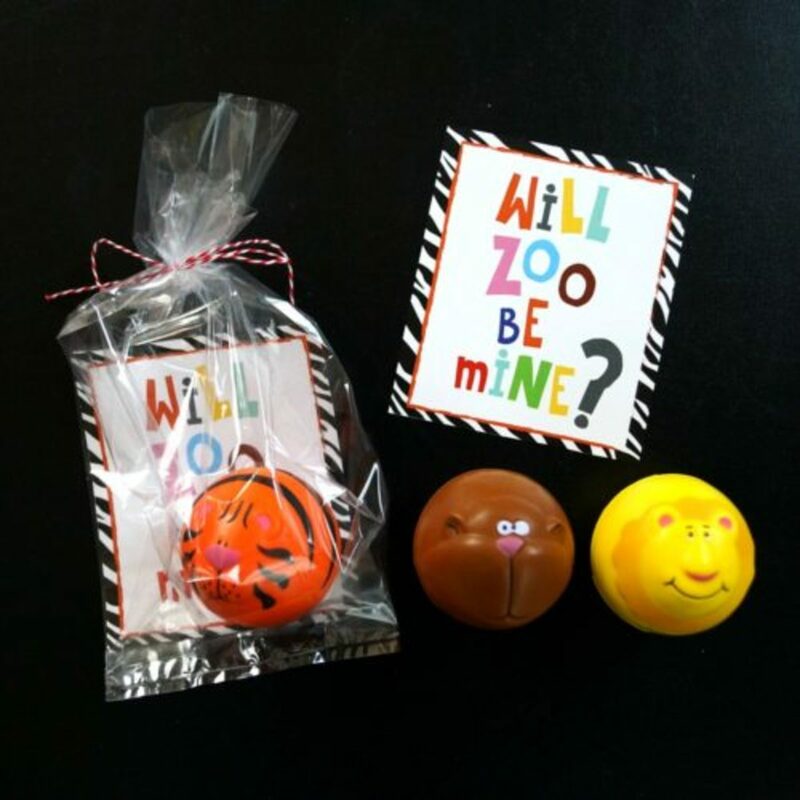 We used these zoo animal stress balls, 4 x 9 cellophane treat bags, and baker’s twine. Download the “It’s Your Move, Valentine” card here. 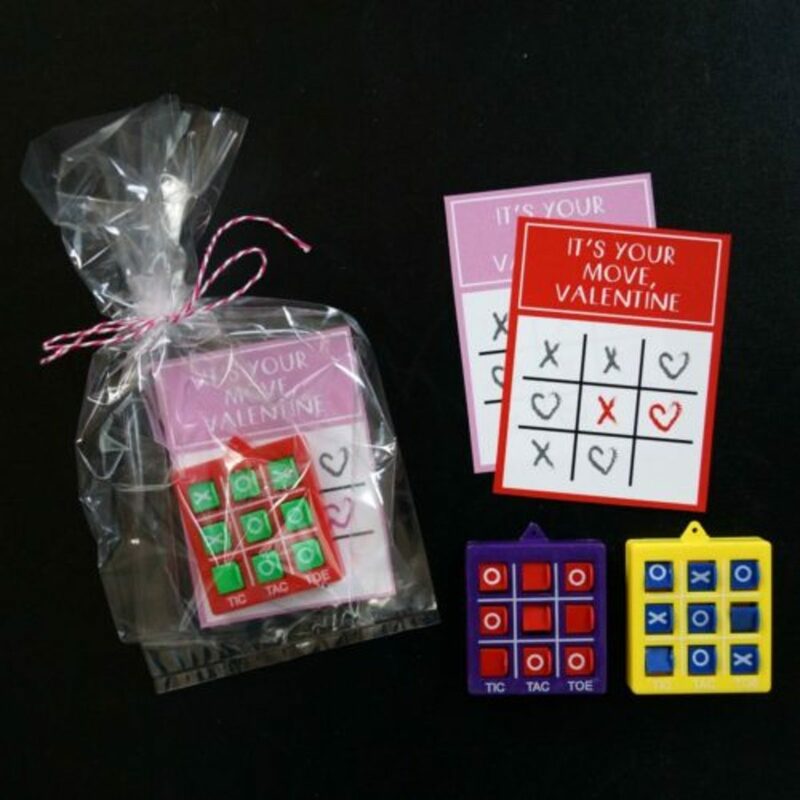 We used these tic-tac-toe boards, 4 x 9 cellophane treat bags, and baker’s twine. Download the “You’re a Great Catch” card in blue or pink. 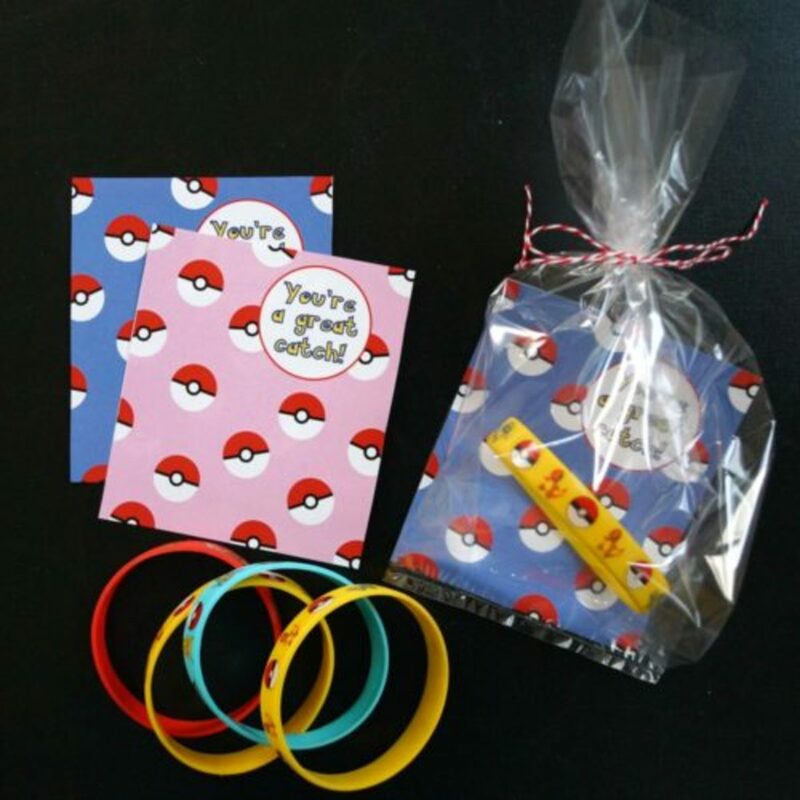 We used these Pokemon bracelets, 4 x 9 cellophane treat bags, and baker’s twine. 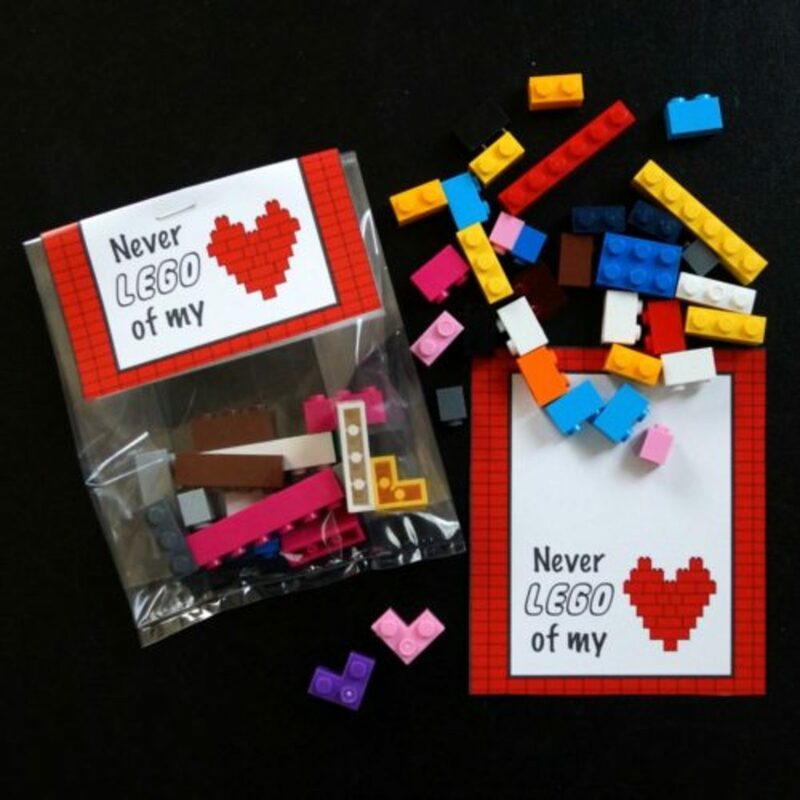 Download the “Never Lego of My Heart” card or folded (pictured below.) We used these toy bricks, 4 x 9 cellophane treat bags, and baker’s twine. Download the “You’re My Main Squeeze” card here. 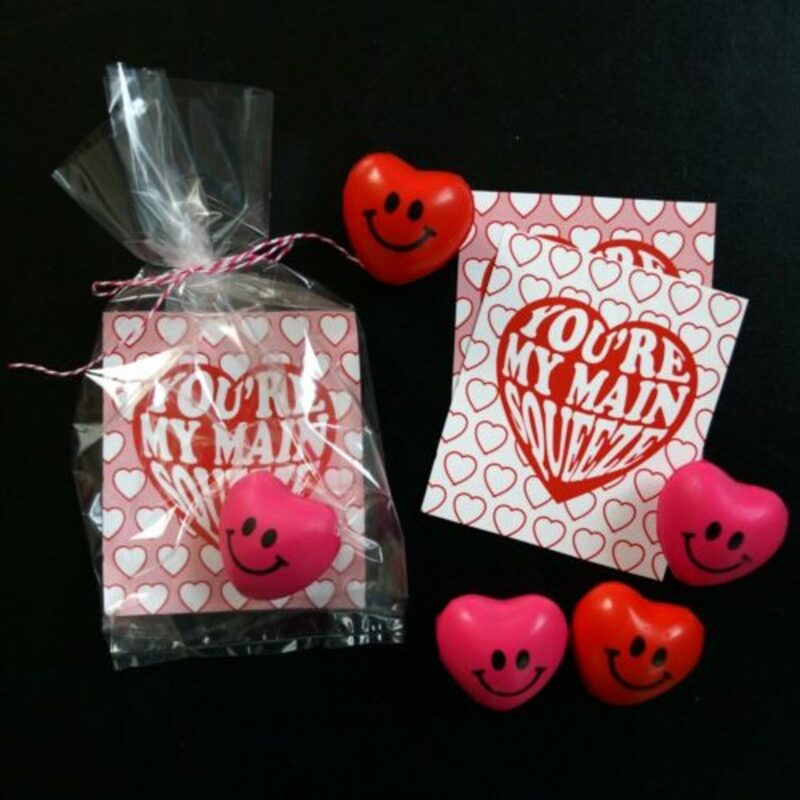 We used these mini heart stress balls, 4 x 9 cellophane treat bags, and baker’s twine. Download the “I Dig Our Friendship” card here. 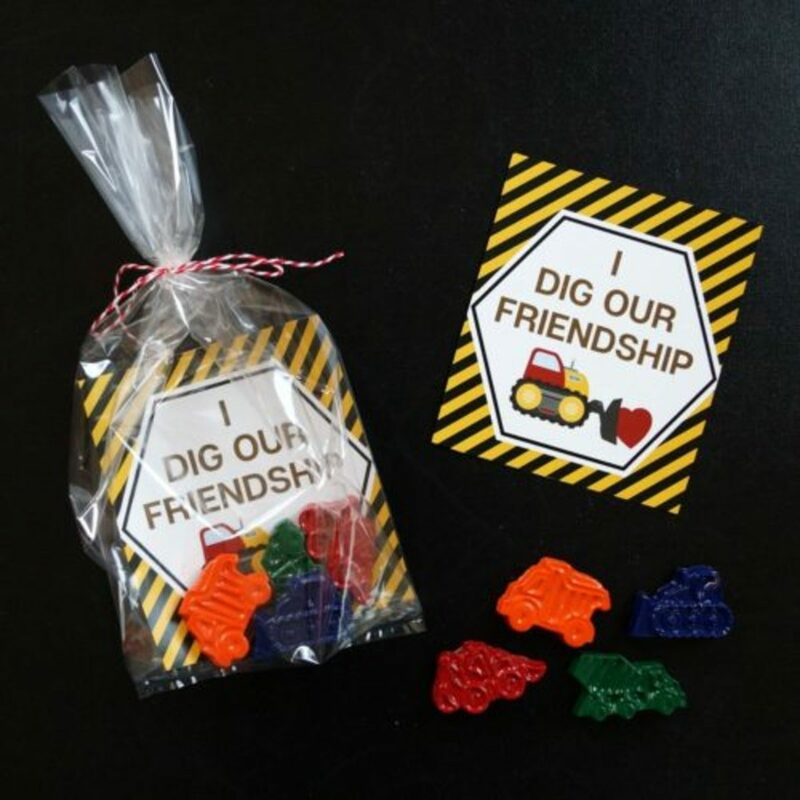 We used these construction vehicle crayons, 4 x 9 cellophane treat bags, and baker’s twine. Download the “I Get a Kick Out of You” card here. 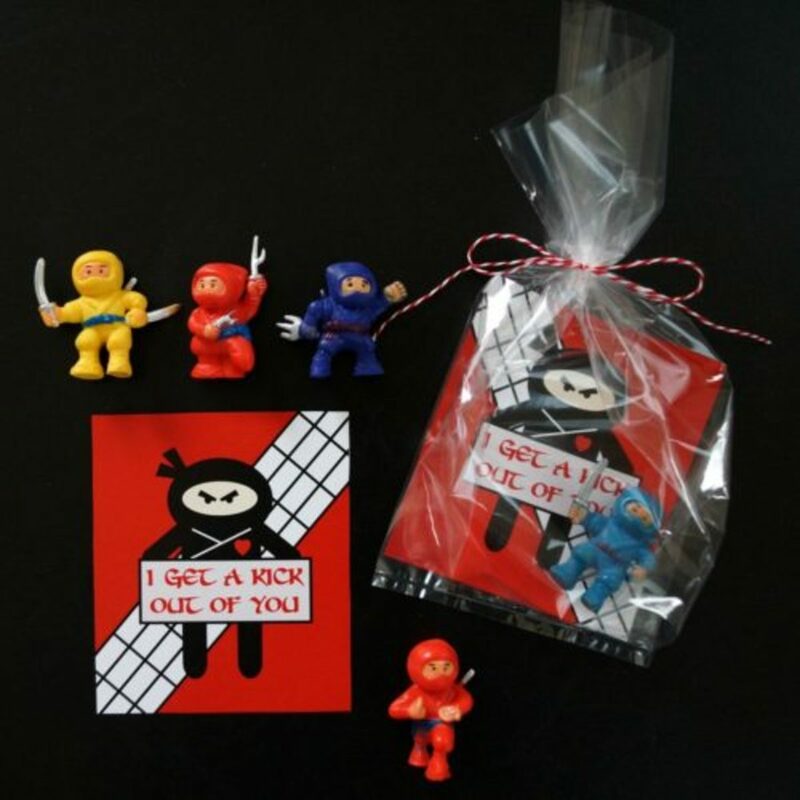 We used these ninja toy figures, 4 x 9 cellophane treat bags, and baker’s twine. Looking for an easy AND adorable Printable Valentine's Day Card for the kiddies? How about one that includes a roll of Smarties? Look no further. 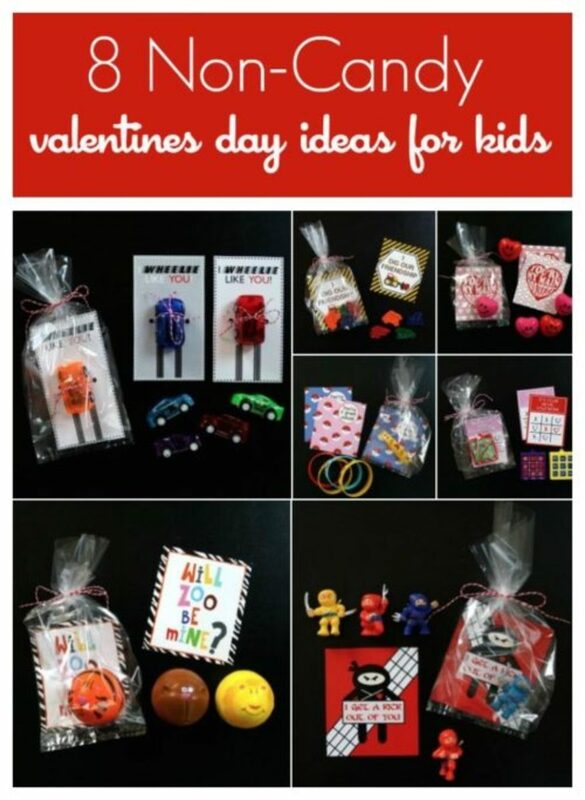 Our favorite Valentine ideas for kids, families, and more! 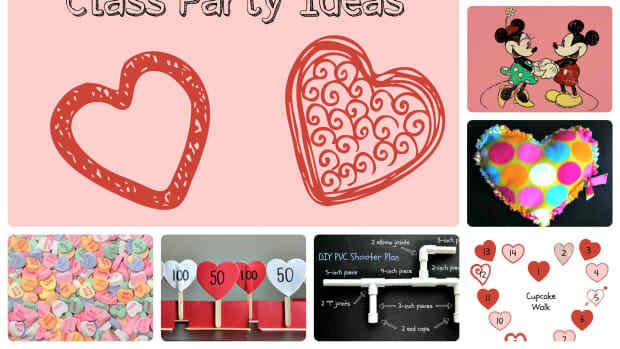 Still looking for fun and easy Valentine's day class party ideas? Here's your list to make your party rock the school! 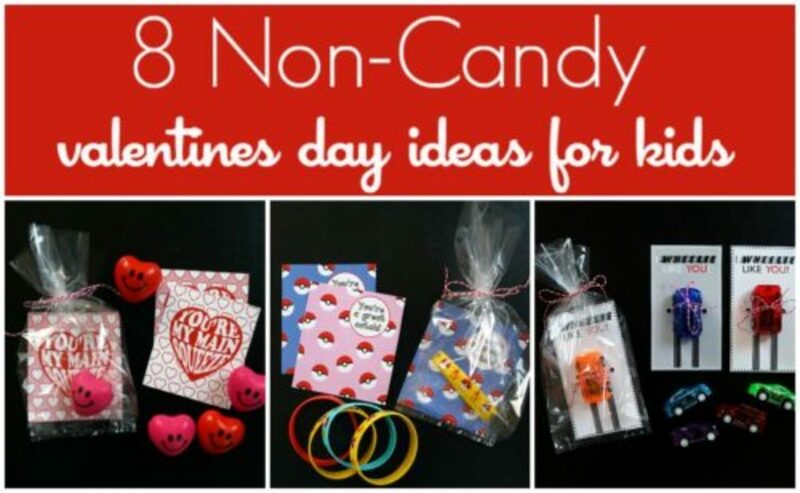 Save the printables and bookmark the treats, you'll want to have fun this Valentine's Day! 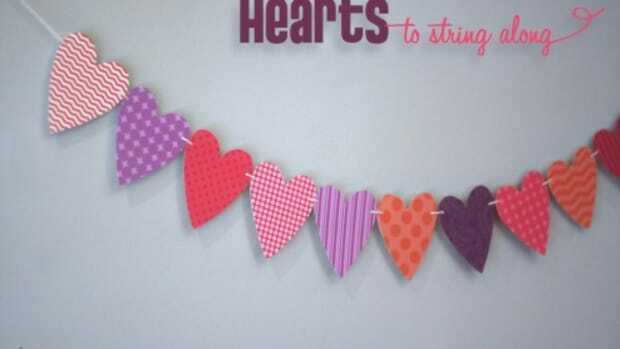 Sweet, festive crafts kids will love to make and give this Valentine’s Day. 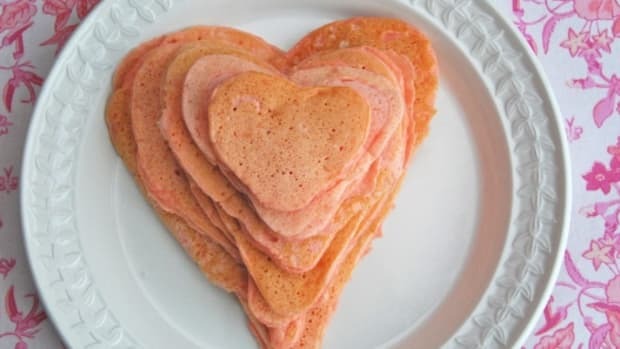 If you have kids, you'll love these 5 family-friendly Valentine's Day ideas.